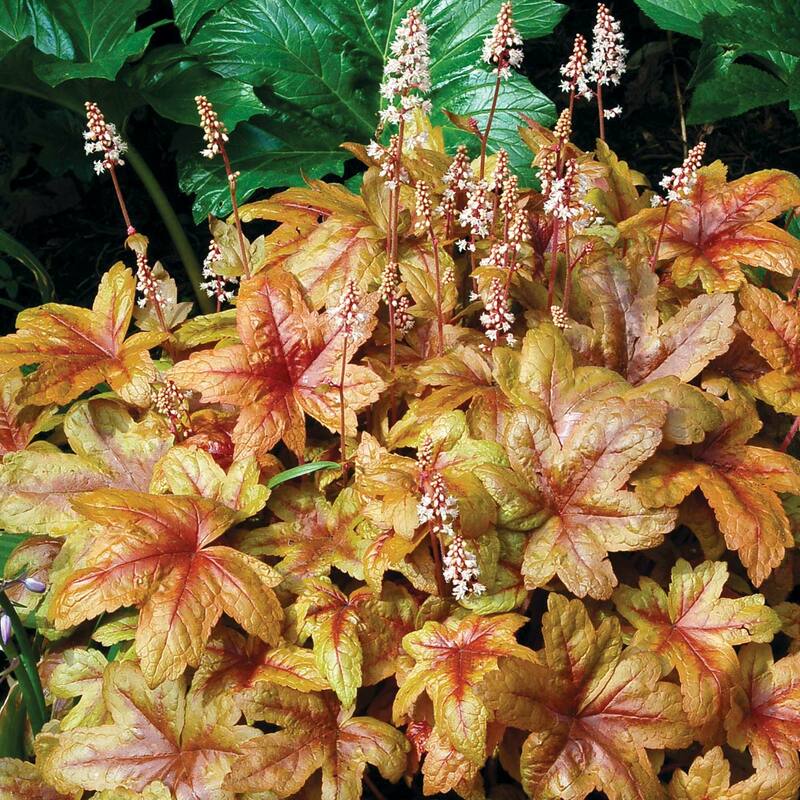 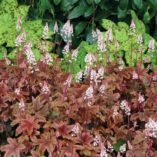 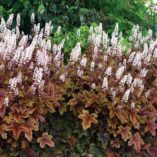 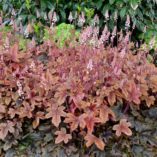 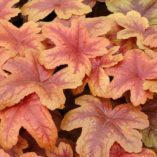 Heucherella ‘Brass Lantern’ | TERRA NOVA® Nurseries, Inc. 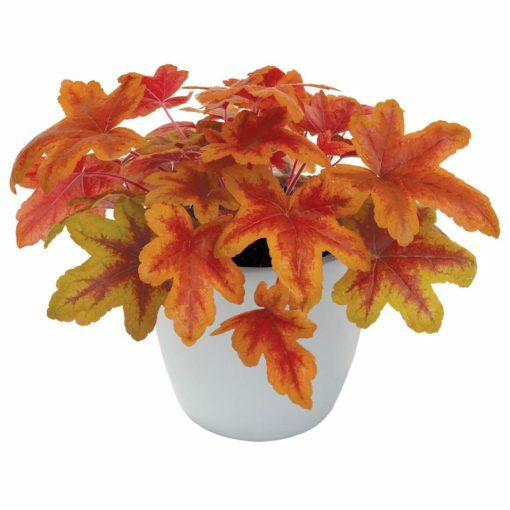 Outstanding vigor combined with brassy gold and red spring color on maple shaped leaves. 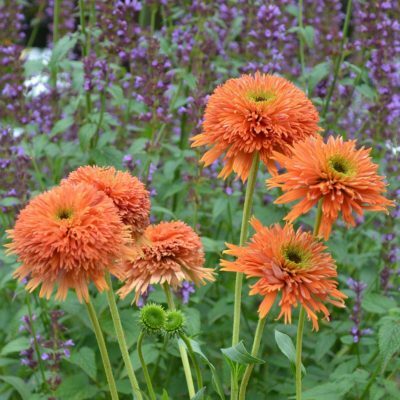 A beacon in the garden. 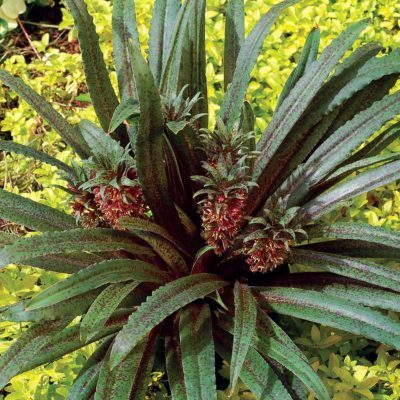 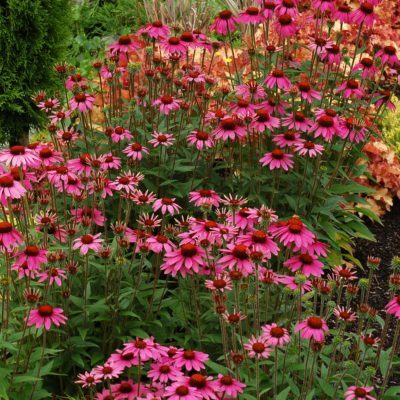 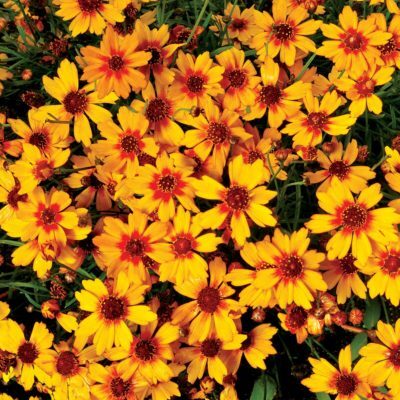 Use this large, evergreen, landscape perennial in mixed beds, under high branching shrubs, or in a container. Spikes of white flowers on dark stems. Winter color olive and brown. Best color contrast with some shade. 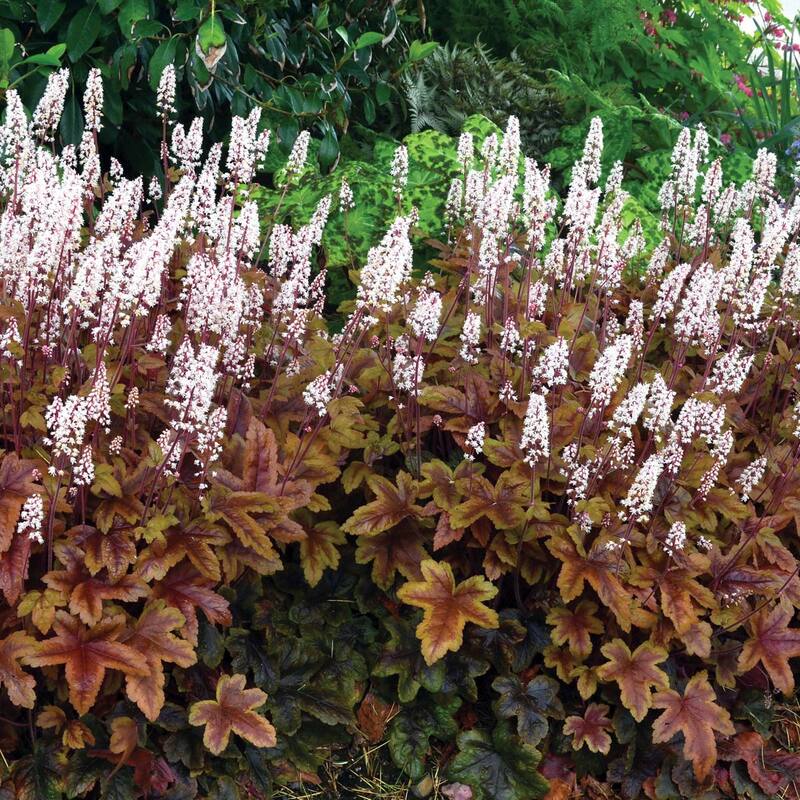 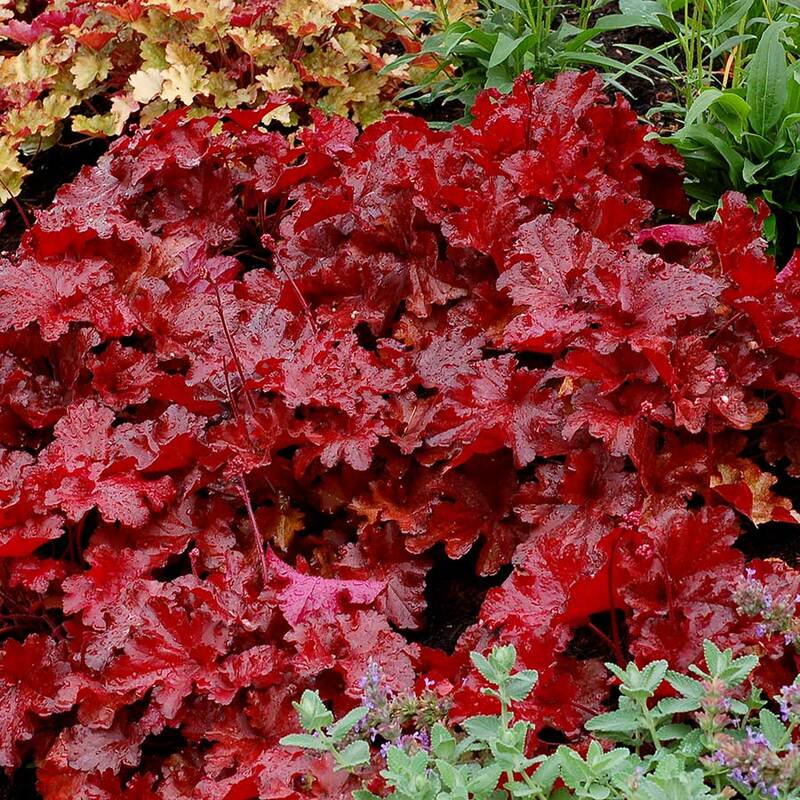 20" / 24" / 28"
This is a large landscape type Heucherella with brassy spring color and red brown summer color. Mixed beds, border, container. Use for showy spring color. 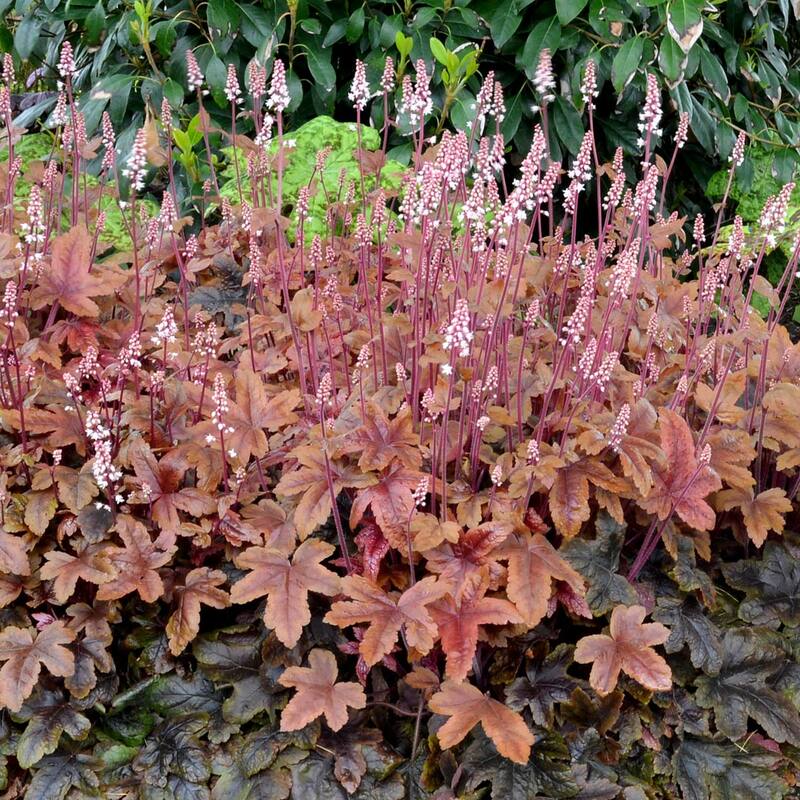 A finalist for the Chelsea Flower Show Plant of the Year award in 2011.